Theming your coloring pages around an upcoming holiday, like Thanksgiving, the Fourth of July, St. Patrick's Day or Easter, can a fun way to keep kids entertained for hours. You can even make them part of your spring celebration. Get out those crayons and let your kids color these original Easter pages you can download and print for free. Easter coloring pages create even more excitement around what is already one of many kids' favorite holidays. Since there are both religious and secular aspects to this holiday, one of these designs is bound to suit whichever traditions you hold. 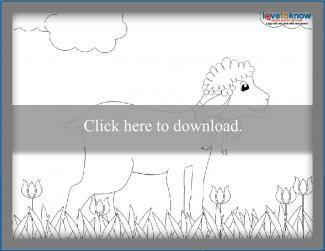 From adorable Easter lambs to Easter cross coloring pages, there's something for every kid. Just click on any of the pages below to download and print a copy for your child. If you need help with downloading any of the printable pages, check out these useful tips. While coloring pages can just be a fun pastime for kiddos, there is more you can do with these pages than just clip them to your refrigerator or throw them away. The traditions surrounding Easter are important whether you participate in Christian church celebrations or it's an important family holiday. 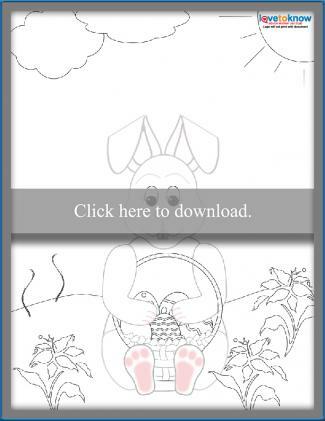 Use the coloring pages to create a mini Easter book and talk about the traditions and meanings of Easter that are important to your family. If you are planning a special Easter dinner and hosting family and friends, you could use these coloring sheets as placemats. Either have your children color them in advance (you could laminate them to use in future years or use as disposable placemats) or place that at the kids table with crayons so kids can color their own placemat while they are waiting for dinner to be served. If you're looking for ways to keep your kids entertained at Easter, why not use one of these fun printables as an Easter Game? 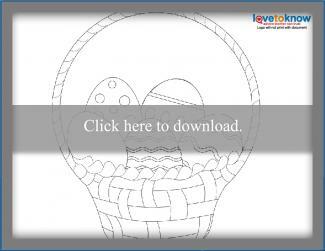 Use some craft ribbon to make bows, and use the Easter basket coloring page to play pin-the-bow on the basket (just like pin-the-tail on the donkey but with the bow as the 'tail.'). 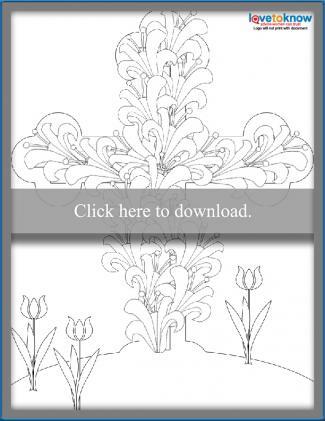 Coloring pages like these can be a terrific option for church fundraisers and similar events. For a small donation, a sheet can be handed to a child and the full collection be put on display in the foyer or other public space. Host a coloring contest for your church, neighborhood or school. Use one of these printables and create age categories for the contest if you wish. Kids can enter their best artwork for a chance to win Easter prizes. To offset the costs of the prizes, you can ask for donations or a small donation for entering the contest (like a quarter). There are also a few other ways to use these coloring pages. Do you give out little presents for Easter? You can use the coloring pages to wrap small presents. Use them to decorate the house for Easter. You can put them on sliding glass windows or frame them and hang them around the house. You can even laminate them to use year after year. Allow kids to get creative and come up with a unique but simple Easter craft. Let them use things around the house to add details, such as using cotton balls for the lamb's wool. Encourage your kids to use the page to inspire their own Easter poem. 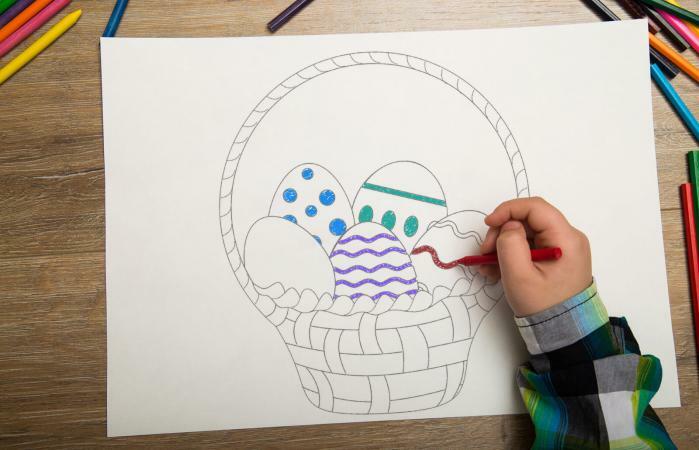 Encouraging kids to color Easter pages isn't just fun; this activity can help them gain a better understanding of the holiday and appreciate the way your family celebrates it. Consider making Easter coloring pages a part of your family's annual holiday tradition. Kids coloring pages are a great way not only to pass the time, but also to bond as a family over a creative activity!